Ok, You're There, Now What? Movement enhances even the simplest of musical settings. It can bring energy to a dynamic show choir number or simple elegance to a beautiful concert piece without your choir ever leaving the risers! 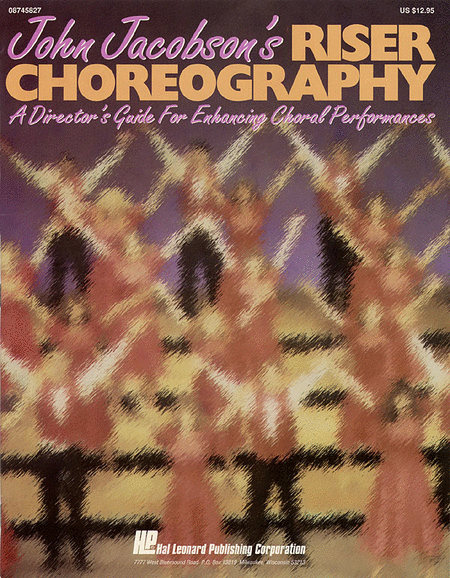 John Jacobson's ideas for staging and choreography on choral risers have been compiled in this easy-to-use resource for the beginning or veteran choral director. Covering basic formations, visual effects, and simple gestures that enhance the lyrics, this practical guide will help you incorporate all kinds of staging into your performance. Watch the companion video for the complete visual effect.